I love looking through all the Kaisercraft scrapbook paper. We have a Kaisercraft store about 20 mins away and which is write near my local haberdashery so I try to pop in whenever I can and checkout whats new. 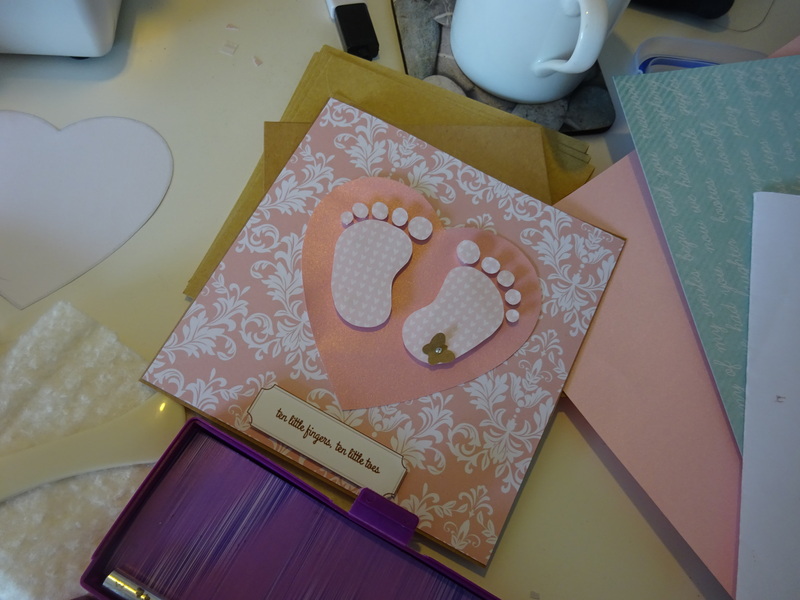 I just love this white demask on pink paper I picked up for some new baby cards I am making and it keeps in with the vintage theme that I am trying to stick too. 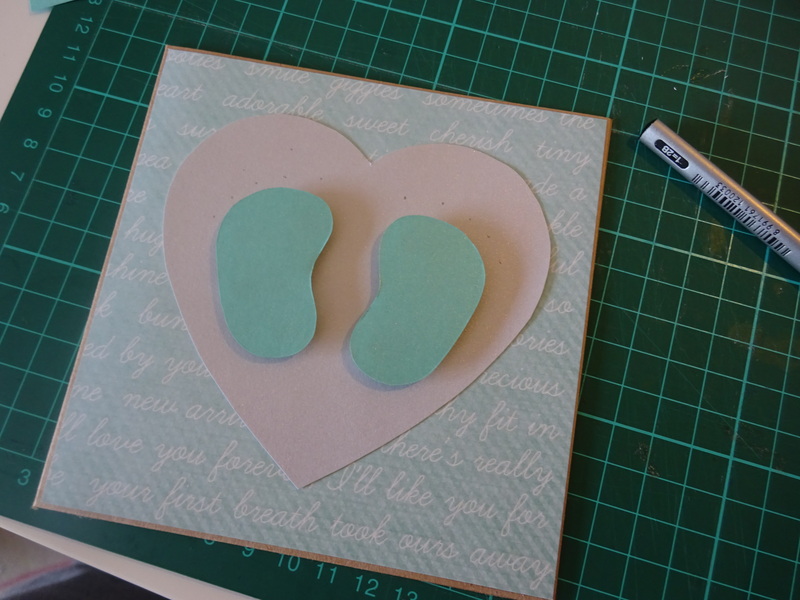 I thought it would be nice to make a little change and add a heart as the background to the baby feet instead of the circles I have recently been using. I also picked up this gorgeous paper that has some beautiful writing on it that makes a great new baby boy gift card. And to add a little bit of bling I picked up a cute butterfly punch and added the diamante for a little sparkle. This cards are a little bit smaller in size. I usually make a 6 x 6 inch card but found some 5 x 5 inches the other week. If you already follow me on Instagram you would probably have seen some of my pictures of my works in progress. Its a great way to share behind the scenes. And if you don’t follow my Instagram page then wait till you see what I have to share tomorrow. Until then have a lovely day! PS do you like my new background for my cards, its Kaisercraft scrapbook paper too.